Expats has spent many years living in Vietnam as well as other roaming destinations and is now the owner of several restaurants and cafes in Hanoi Old Quarter. He is among the first people selling products at this market, and his pastries are familiar products here. Gerard Gastel from France is busy preparing his kiosk at the Ecosunday weekend market, Ecopark residential area, about 18 km from downtown Hanoi. The old man has spent 20 years living in Vietnam, and is now the owner of several restaurants and cafes in Hanoi Old Quarter. He is among the first people selling products at this market, and his pastries are familiar products here. “I have been living in Vietnam for 20 years, and married a local wife. When you love the Vietnamese culture and your products are good, your business here is a success for sure,” said Gerard Gastel. Most of the foreign sellers at Ecosunday are from shops and restaurants in Hanoi. But Eddy Goseling, a businessman from the Netherland is a citizen of Ecopark himself. The organic skincare market is tough, but Eddy always finds a stable number of customers in Ecosunday market. “We sell in shops, not only in Hanoi but also another shop. But when we are here we are in direct contact with our customers, and we hear tips and remarks so we can improve our products and make them better,” Eddy Goseling told the reporter. At another bustling corner of the market, Martyn Jensen from Wales is swinging with his music notes. Participating in the market for only several months, the songster and his unique music instruments have brought a fresh air to the weekend market. Martyn said: “When I came here, I go on Facebook and look at all the different markets and things happening, what the expats do. I saw a placed called Ecopark and thought that’s cool. So then I wrote to the manager of this place and said if possible can I come and play music there, maybe do some teaching, get some money for biahơi and enjoy it”. “I love to teach. So I’ve enjoyed it ever since. So I’ve been doing this now for maybe eight months here. And I love it here. It’s fun. It’s the highlight of my week,” said Martyn. Since I came back to live in Asia 5 years ago, I have avoided most interaction with expats! Of course I come across some really great expats but all too often what I wrote above is true - I can’t stand their whining and moaning about overseas living, why the locals do this and don’t do that, why things don’t function the way they’re accustomed to, the food, traffic. You name it, they moan and groan about it. What is an expat? The term is the abbreviation of “expatriate” which originates from the Latin “ex patria,” referring to someone living outside their home country. That can be someone on an overseas work assignment, retired and living in another country, or a nomad, like myself, who doesn’t live in any one particular place. For the purposes of this discussion let’s focus on the expat who has chosen to go abroad to marry, work, or retire voluntarily. I’ve spent most of the past 5 years here in Vietnam as well as my other roaming destinations and Vietnam is by far my favourite. From welcoming, tolerant, warm locals to great weather, variable climates, the best food I’ve ever had, a low cost of living, and a great infrastructure considering it’s a developing country, you can’t go wrong here. In my opinion, an expat would really have to put in top effort to have a bad experience here. This is a topic about which I consider myself an expert - I’m into my 40th year as an expat. I’ve lived in 8 different countries outside my native Canada. I’ve survived coups, revolutions, typhoons, earthquakes, and a host of other obstacles. I speak a bunch of languages, some poorly, some very fluently. For certain, I know the expat game from here to Peru and a lot of places in between. I estimate three-quarters of expats are for the most part unhappy with their situation. The other 25% roll with the punches, accept the good and bad, and are overall content. So why are so many expats so unhappy? Part of it is easy to understand: the expat goes overseas and leaves behind all things familiar and comfortable, taking off into the unknown. That’s not easy to do. To cushion the blow and best manage that change, the expat needs to study his destination in great detail before going and to come up with realistic expectations. Simple concept, yet most expats I know spent little or no time analyzing the situation in their target country before setting sail. They choose a country for a variety of reasons - most of those reasons seem bizarre and impractical to me: they met a girl and took a chance at a country they knew nothing about, they had a buddy already living in that country, or they had a job opportunity that attracted them. Just because someone likes a girl in a given country or has a friend there, will that ensure that their whole expat experience will be favourable? Of course not, why would it? It’s nice to know people, especially a potential partner or close buddy, but that doesn’t ensure success or even give a distinct advantage. But, wait, it gets weirder. The other observation I’ve made is that many expats go abroad expecting to reap all the benefits a developing country like Vietnam offers without confronting any of the obstacles that go hand in hand with the experience. That makes no sense to me and never has. Here’s a classic example: the driving habits in Vietnam are very different from any highly developed country. The expat who wants to drive here must accept the risk that goes with it - for example, accidents are frequent, foreigners often do not get the benefit of the doubt in case of an accident, nor should they. That’s just the way it is - we take it or we leave it. Similarly, Vietnam has the same issue with garbage and recycling that every country has, developed or not. It’s huge, it’s everywhere, and it’s getting worse. In many cases, those spotless countries that appear to have it all solved pay to have their garbage shipped abroad. As a Canadian, I was appalled at the situation in the USA when I moved there. It’s commonplace to find household furniture, appliances, and every imaginable type of rubbish on freeway entrances and exits where it’s easy to dump things out of vehicles undetected. Garbage is routinely thrown on the streets, sidewalks, and out of car windows. So why would we expect a developing country to manage it as well as we do? Developing countries have limited resources, that’s why they’re labelled as developing. Vietnam doesn’t have the resources to put a policeman or street cleaners on every corner. Why is it that I rarely hear expats talking about the bad things at home that they’ve been lucky enough to leave behind? Right now in my country it’s the middle of winter - it’s cold, it’s so dry that sinuses, eyes, ears, and throats often ache. Snow all over the place, everything must be heated at great cost. Winter clothes, snow tires, and on and on. It’s awful by any measure, and on top of that the cost of living is horrendous! If I had stayed in Canada or the USA, I’d be lucky if I ever retired, so how should we feel to be abroad? There is only one answer: I’m very fortunate to have escaped at a relatively young age and remind myself of it every day of my life. If not for the low cost of living in Vietnam I’d be slaving away working in my country until too old to enjoy life. Gratitude is another big piece of the puzzle, yet I rarely hear expats telling me how lucky they are to live on a paltry sum and enjoy the wonderful weather, food, and easy lifestyle. Indeed, many spend a lot of their day dissecting, re-engineering, and improving everything they don’t like instead of being grateful for all the benefits. I hear it every day when I’m around expats: substandard hygiene in restaurants, the aforementioned garbage issues, double pricing, and so on ad nauseam. This assumption that we do everything better is another head-scratcher to me. Granted, developed countries are the purveyors of countless modern amenities and innovations. But that doesn’t mean that locals are without culture and sophistication and require our expertise to improve their lifestyles. Just sit down and eat and watch what goes on! Do Vietnamese people hastily prepare their food, then ram it down their throats as if they were filling the gas tank on their cars? Local customs are diligently respected from preparation right through to enjoyment. After all, what’s more important than the food we eat? Incredible eating culture in this country yet many expats find a way to criticize it. Baffling. So, much of the expat experience comes down to learning rather than teaching, absorbing and understanding what is done and why. Those who come to teach and cultivate face a long uphill battle that never ends. Me? I’m busy rolling with the locals, learning, absorbing, respecting their ways. I’m here to learn - if not why come here? And I keep as far away from those 75% that are disgruntled with the whole experience. They have no idea what they’re missing. Find apartment for rent in Vinhomes Times City Park Hill Hanoi, view best luxury furnished, serviced apartment rental listings including 1-4 bedroom residences to rent with real photos. 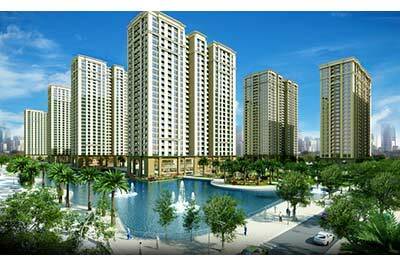 Times City Park Hill Premium has Pool, Gym, Mega Mall etc. Let’s our best Agents find your dream home at no fee.